Well, have you seen Miss Molly? 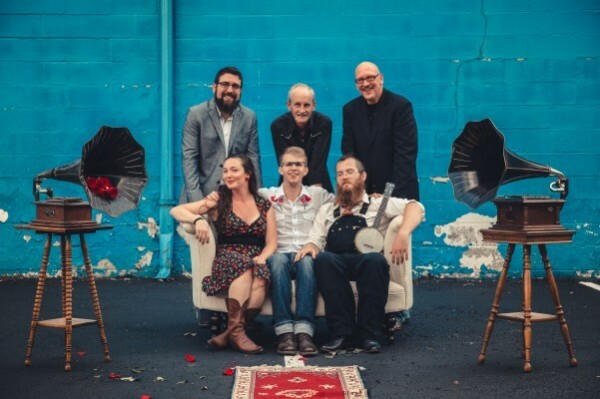 A six-piece hot jazz/western swing band from the DC area, Bumper Jacksons are ready for their New York debut. Known for their multi-generational audiences and party-like performances (they made Bob Boilen of NPR’s list of top shows) the band—Jess Eliot Myhre on vocals/clarinet/washboard, Chris Ousley on vocals/banjo/guitar, Alex Lacquement on upright bass/harrmony vocals, Dan Cohan on drums/Suitcase percussion, Brian Priebe on trombone/harmony vocals and Dave Hadley on pedal steel/dobro—is reminiscent of the Squirrel Nut Zippers. Influences include Billie Holiday, Ella Fitzgerald, Patsy Cline, Louis Armstrong, Ray Price, bluegrass and old-time string band music. Co-founders Myhre and Ousley met at a party for bicycle activists in 2012, and after just two years as a duo, they formed a 6-piece with a love of early jazz, swing, blues and old-time country. Bumper Jacksons’ latest album, Sweet Mama, Sweet Daddy, Come In, dropped last March and the group intends to release a new record in the summer. 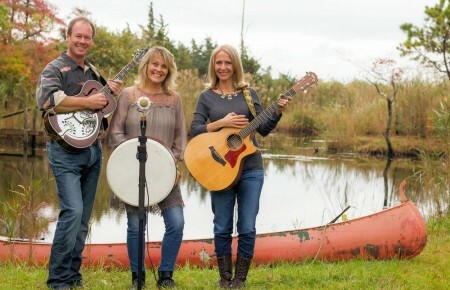 Read on to find out why you may see a can of coconut milk onstage during their New York debut Saturday, March 14 at the Eclectic Cafe (located at the Unitarian Universalist Society of South Suffolk). Long Island Pulse: How did you get the name Bumper Jacksons? Jess Eliot Myhre: We named ourselves in Louisiana before the band even formed. Chris and I were traveling and stayed for about a week with the Jackson family outside of Lafayette. Their black lab, Bumper, would howl along with my clarinet. The horn was like a pack call and we would play together. When you have dogs or wolves howl like that together it’s what biologists would call ‘chorusing.’ We thought it was hilarious and wonderful, so we decided that when we started a band, we would name it after the Jacksons’ family dog, Bumper. P: What made you transition from hip-hop and funk to street jazz and country swing? JEM: In college, I played in an original funk band and a Motown cover band while studying early hip-hop music. I hadn’t discovered how awesome older forms of American folk music were until after college when I moved to New Orleans, not for music, but to participate in the school garden movement that was really thriving there around 2010. Once there, I fell in love with the bands in the small clubs and on the street playing traditional jazz. I took out my old plastic clarinet that I learned to play in middle school and re-learned my scales. I started hanging out in the clubs on Frenchman Street in the Marigny, like the Spotted Cat, hoping that the band would let me sit in. I wasn’t very good, but many folks were very kind and welcoming and I learned to play and sing traditional jazz. P: Who are your biggest influences? JEM: One of the biggest strengths of this band is that we each draw musical inspiration and influence from such a wide array of music. My vocal influences are the early American jazz and blues singers like Billie Holiday, Bessie Smith and Ella Fitzgerald. We all listen to early country musicians as well—Ray Price, George Jones, Patsy Cline—as well as bluegrass and old time string band music. In terms of our sound, our influences tend to be quite early on. And lyric-wise, I’m inspired more by modern writers like Tom Waits or Townes van Zandt. P: Who would you most like to tour with? JEM: Everyone has different answers! Lake Street Dive, Madeleine Peyroux, Dr. John and Tom Waits came up. 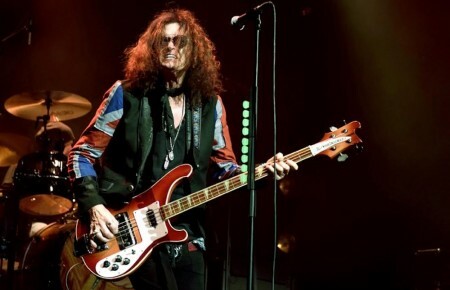 We would want to tour with a group that were high-energy and fun-loving with the potential for collaboration and jamming while we were on the road—even if that never manifested on stage. P: What can we expect to hear on Saturday, 3/14 at the Eclectic Cafe? JEM: We will be playing an array of original and traditional tunes from both Sweet Mama, Sweet Daddy, Come In and Big Horn Mama. We also just finished recording an album to be released this summer and will be playing songs from that.